Biodiversity is the variety of life on earth. At least this is the simple definition popularized through the title of an excellent book on the topic by Professor Ed Wilson. What biodiversity means is something much more complex. It is the inventory, the sum and the interactions of all the living parts. the combined effect of types, numbers and interactions combining with the physical environment to create ecosystems and their properties of production, stability and persistence. These system properties have and continue to be critical for human survival and prosperity – we have begun to call them ecosystem services. This is the technical explanation,the nuts and bolts. Biodiversity is more than the sum of the different parts. And it has also become a synonym for conservation in our modern lexicon. And this has been both good and bad. For a while, politicians started to use the word giving some hope that decision makers would begin to value nature. But then they dropped it when new phrases came along – climate change or global warming for example. This was more than jumping on bandwagons, it was a major misunderstanding because there are strong links between the diversity of life and climate change. Several themes emerge when biodiversity and climate change are considered together and not all of them are what we hear about. 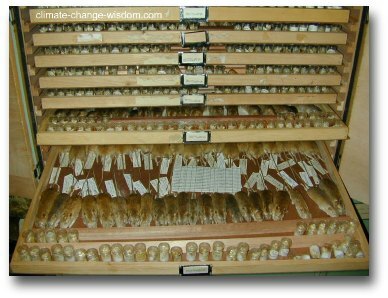 Climate change is an important driver of evolution, as change in environmental conditions helps create diversity. Over the long haul without climate change there would be far less diversity. If the world were static there would only be a fraction of the current variety of life, our ecological processes would be run by fewer species and a very different set of natural resources and resource flows would be available for human use. Current theory predicts that less diverse natural systems would be at a higher risk of collapse. Interestingly the reverse is also true. 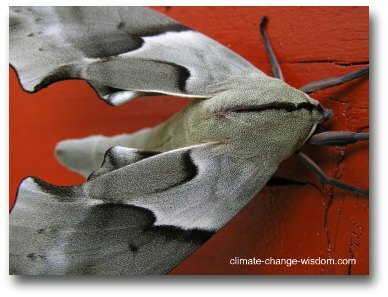 When climate change is rapid or extreme there can be dramatic reductions in diversity and species . In the long run this effect creates opportunity for biological novelty to arise but in the short term it means extinction. 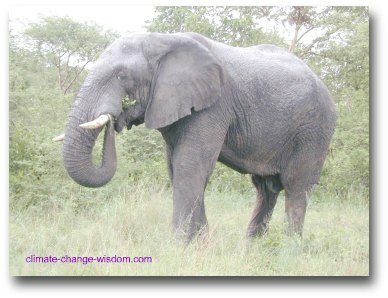 As most of us think of biodiversity as cute, furry or feathered creatures then extreme climate change will be about loss of these iconic creatures for they are often large (humans are large in the biodiversity scheme of things and we relate best to other large creatures) and whilst large can help an individual persist – think of an elephant being able to walk hundreds of kilometers to find water – it is a liability for the species. Whilst there are exceptions, large bodied species are generally less persistant than small species in the face of big change. Changes to rainfall, temperature, and especially soil moisture slowly affect the ability of plants to persist, often because seeds fail to germinate or seedlings, the most vulnerable time in a plants life, die. Extreme events can be devastating. If these patterns are outside the tolerance limit for too long individual plants die and when lost from an area the range of the species declines or becomes fragmented. Shrink the range too far and the risk of extinction increases. The only solution when climate change marches on is for plants and animals to move to where conditions remain suited to their needs, within their tolerances. Conservationists have tried to assist this process by managing the landscape to have corridors of habitat. Wise thoughts about biodiversity would turn to how the diversity of life acts as a buffer against climate change effects – the maintenance of nutrient cycles, carbon sequestration and primary production even as environmental conditions change. The important thing is that organisms are nature, they form it, drive it and balance it. All we know about plants, the animals that eat them and each other and why nutrients and carbon move through the biosphere is because organisms make it happen. It sounds silly but we often forget this truth. 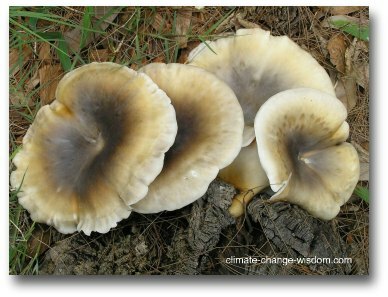 What we also know is that the variety of life differs in the number, composition and proportion of types from place to place and that, as a general rule, the greater the variety, the more efficient and resilient is the buffer against disruptions to the normal pattern of nutrient, energy and carbon flows. This effect can be as simple as the loss of one species that fixes nitrogen. In a biodiverse system this might not be a huge loss as there are many other species doing a similar job. When it is the only one, nitrogen is fixed less efficiently and limits plant growth. Curiously we have engineered our agricultural systems to be biodiversity poor. So the real risk of climate change is not that there might be some species loss, even though this is an undesirable and disconcerting outcome, but that we reduce the ability of nature to buffer itself.